One problem I have with team building assessments is that most of the data gathering and evaluation questions are very passive. It seems as if team building is something that happens to people. As opposed to people being active players in their work life. I thought that was a good question and I went to work on looking for an active process of team coaching and consulting. That brought me to Marshall Goldsmith’s Wheel of Change. 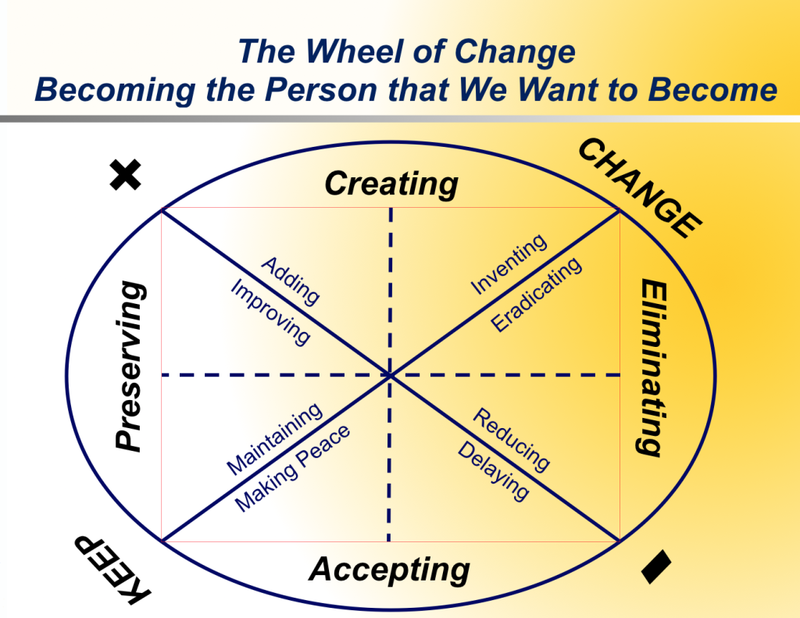 The useful thing about the wheel of change is that you can accept the organizational system you are a part of, the passive stuff that you cannot control; while making an active choice to make a change, the active stuff that you can control. Working with many teams and individuals, we quickly saw that this concept as useful. Facilitating this with a team is similar to working with one person who is receiving leadership coaching. 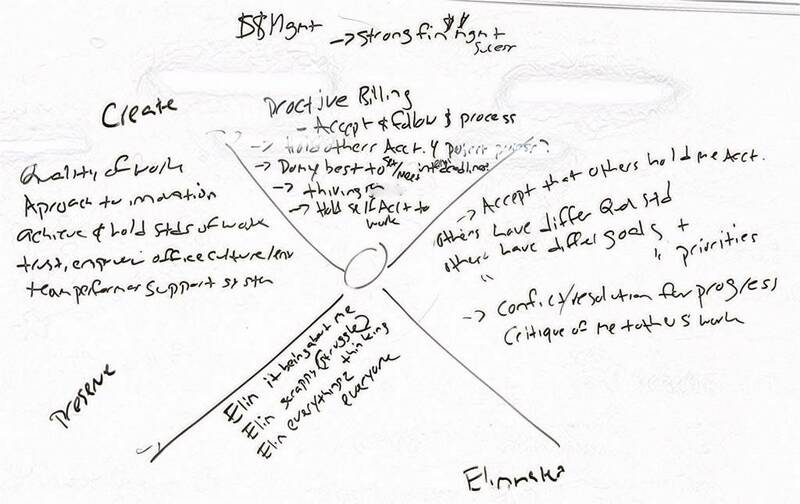 Ask the team to review each response in the wheel of change and ensure that each statement has personal accountability that is within their control, and they have the authority to act upon. Translate each statement into “Did I do my best to …” See below for examples. Did I do my best to follow the billing & project process? Did I do my best to hold others accountable for following the billing & project process? Did I do my best to set project deadlines? Did I do my best to achieve project deadlines? Did I do my best to hold myself accountable to work deadlines? Did I do my best to see ‘our company’ as a thriving company? Did I do my best to preserve my quality of work? Did I do my best to be innovative? Did I do my best to achieve & uphold quality standards? Did I do my best to preserve a high trust, empowering office environment? Did I do my best to support my teammates? Did I do my best to accept that others hold me accountable? Did I do my best to accept that others have different quality standards? Did I do my best to accept that others have different goals & priorities? Did I do my best to see conflict/ resolution as a point of progress? Did I do my best to accept others feedback/ critique of my work? Did I do my best to eliminate the belief that others feedback + challenges are all about me? Did I do my best to eliminate ‘our company’ being a scrappy, struggling company? Did I do my best to stop trying to be everything to everyone? How is stacking knives on marshmallows corporate development and learning?